Editor’s Note: Conrad’s Utility Investor and Capitalist Times Premium subscribers can download my presentation slides from the San Francisco MoneyShow in the websites’ Reports sections. Overblown concern about a rapid increase in interest wasn’t the only reason many analysts and pundits were bearish on US electric utilities at the start of 2014. The fear-mongering popular press also hyped the potential for rooftop solar to cause a death spiral of lost sales at vulnerable utilities. The bears based their case on Germany, where adoption of rooftop solar and other intermittent renewable sources has saddled E.ON (Frankfurt: EOAN, OTC: EONGY) and RWE (Frankfurt: RWE, OTC: RWEOY) with unprecedented losses and forced them to shut down power plants. In Europe’s largest economy, heavily subsidized renewable energy has diminished demand for electricity generated by baseload coal-fired and nuclear power plants. This trend has driven down wholesale power prices, making these traditional sources of generation economically unsustainable. In the second quarter, Germany’s wholesale power prices fell 5.8 percent from year-ago levels, hitting their lowest point in more than seven years. Meanwhile, renewable energy’s share of the generation market climbed to a record 29 percent, inducing RWE to terminate 500 megawatts (MW) in sales contracts and announce the shutdown of another gigawatt (GW) of capacity. RWE’s second-quarter sales plunged 16 percent, its recurring net income plummeted 62 percent, and the company missed the Bloomberg consensus earnings estimate for the fifth consecutive quarter. July brought even more pain for Germany’s embattled utilities, with a 27 percent jump in wind-power output eating another 10 percent of conventional power plants’ piece of the pie. Unfortunately for RWE’s shareholders, this death spiral shows no signs of ending anytime soon. CEO Peter Terium continues to argue forcefully that shutdowns of baseload capacity threatens the reliability of Germany’s electricity grid. And the nation’s growing dependence on intermittent sources of power—the sun doesn’t always shine and the wind doesn’t always blow—has increased carbon dioxide emissions from the shadow capacity needed during these downtimes. Terium has called for a Continental generation market that compensates RWE, E.ON and other utilities that own baseload power plants for keeping these plants running. Thus far, policymakers have expressed scant interest in enacting policies that would reopen some of the 10 GW of generation capacity that has been shuttered thus far. Perhaps the biggest surprise is that RWE and other European electric utilities’ stock prices haven’t plummeted further. If Germany doesn’t change its policies, expect output, sales and earnings to continue their decline, triggering more plant shutdowns, dividend cuts and asset sales for RWE and E.ON. The breakneck pace of renewable-energy development in the US has led to warnings that American electric utilities face a similar threat—sensationalist claims that ignore the difference between what’s happening domestically and the European market. First and foremost, the US lacks a national electricity market where consumers can pick and choose their electricity provider. Twenty years have elapsed since California proposed deregulating its market, a development that triggered a historic selloff in utility stocks. Today, 15 states and the District of Columbia allow Americans to shop for their power. The rest of the country still buys electricity from regulated monopolies—the same setup as when Edison threw the first switch. And there’s no comparison between RWE and NRG Energy (NYSE: NRG), the largest power producer in the US. Although the latter sells a sizable chunk of its output into the wholesale market, heavy contract coverage has helped to insulate the firm from North America’s depressed natural-gas prices. NRG Energy’s other business lines can more than pick up the slack when conditions weaken in the wholesale power market. And more than two dozen states plus the District of Columbia have passed legislation requiring utilities to increase renewable energy’s share of the overall generation mix to predetermined levels. Thus far, state mandates have prompted electric utilities and their affiliates to invest in renewable energy. Meanwhile, if the second-quarter results from publicly traded utilities are any indication, adoption of rooftop solar has yet to affect the industry’s profitability. 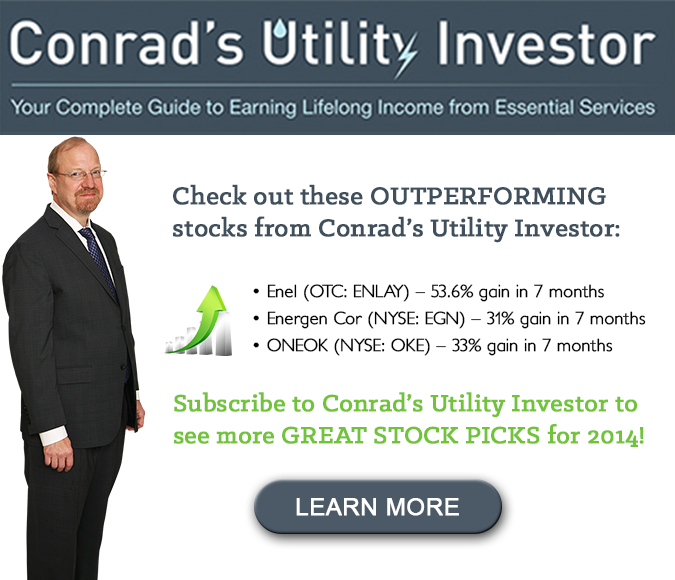 Conrad’s Utility Investor subscribers can read my assessments of more than 200 essential-services companies’ quarterly results in my Utility Report Card. Not a subscriber? Sign up for a risk-free trial and save $50 on an annual subscription. 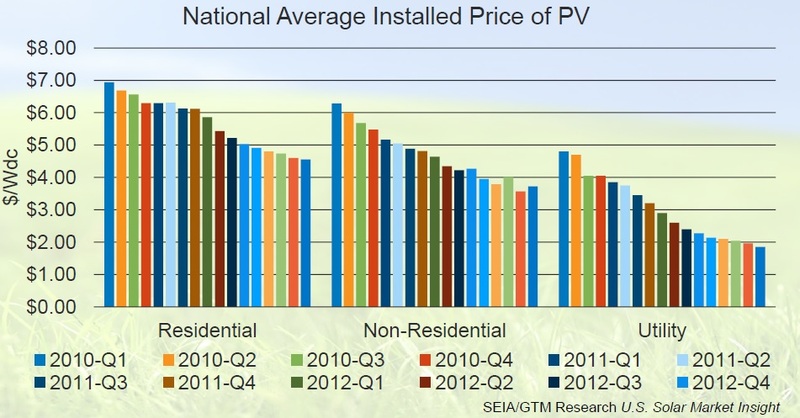 And utilities in sun-drenched states continue to adapt to meet the challenges posed by rooftop solar. Hawaiian Electric Industries (NYSE: HE), for example, has embraced this disruptive technology as an opportunity to shutter oil-fired power plants that have saddled the state with some of the highest electricity costs in the nation. Negotiations with state regulators should produce an agreement later this year that supports associated investments in the electricity grid, energy storage and imports of liquefied natural gas (LNG). And Pinnacle West Capital Corp (NYSE: PNW) has requested permission from Arizona regulators to roll out its own rooftop-solar product that will compete with SolarCity Corp’s (NSDQ: SCTY) high-priced offerings. Data from the Solar Energy Industries Association suggests that utilities’ superior scale and access to a huge customer base gives them a significant cost advantage over upstart rivals. These advantages explain why utilities increasingly dominate the market for rooftop solar installations. 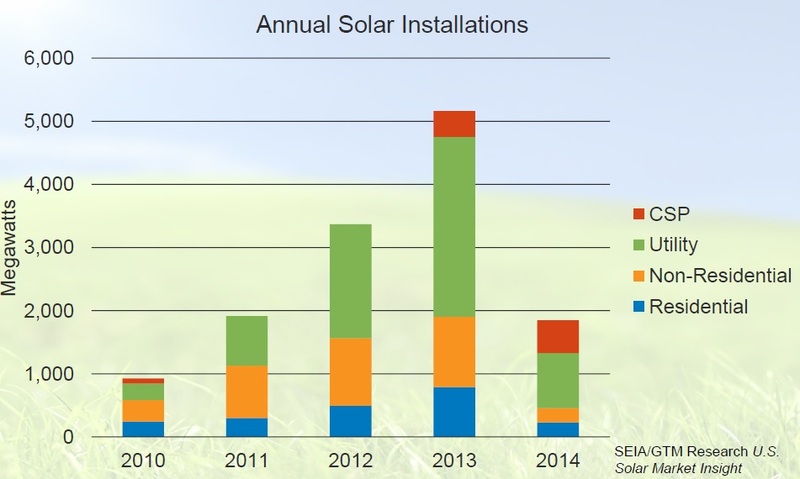 Of course, these facts never make their way into SolarCity’s press releases or investor presentations. Another salient difference between US and European power markets: Surging natural-gas production from North America’s prolific shale plays means that the thermal fuel sells for a third of the price that this commodity fetches in Europe. Expect this gap to widen as the Continent’s dependence on Russian gas supplies grows—and buyers wait for less expensive US exports to ramp up. Investors shouldn’t assume that the rollout of renewable energy will doom US utilities to the same fate as their German counterparts. With the next US presidential election two years away, a great deal of uncertainty surrounds the final form and implementation of the EPA’s proposed rules to curb carbon dioxide emissions. And more states could follow Ohio’s lead in suspending renewable-energy standards to prevent customers’ electricity bills from skyrocketing. Whatever happens, conditions on the ground dictate that the US will follow its own path, not the course laid by Germany. And all signs point to the best electric utilities continuing to generate steady cash flow and paying their investors a reliable dividend. Although the German example works well for fear-mongering pundits looking to cause a stir, Australia provides a better analogue for US energy policy. The election of Prime Minister Tony Abbott has triggered a paradigm shift in the country’s energy policy, starting with the repeal of a controversial tax on carbon dioxide emissions. This move dramatically enhanced the economics of the coal-fired power plants that generate 75 percent to 80 percent of Australia’s electricity. The new government also announced plans to review the nationwide mandate to generate at least 41,000 gigawatt-hours of electricity (about 20 percent of output) from renewable sources by 2020. Utilities have lobbied to extend the deadline to 2025 and revise this goal to account for diminished electricity demand as energy efficiency improves. Abbott turned the industry on its ear by appointing a known skeptic of climate change to conduct the review. The government will need to sign off on any recommendation before it becomes law. However, Australian renewable energy development has slowed dramatically in anticipation of a potential shift in policy. According to Bloomberg New Energy Finance, companies invested AU$58 million in renewable energy over the first six months of 2014, compared to AU$1.3 billion in the first half of 2013. Abbott has also trained his sights on Australia’s considerable renewable-energy subsidies, calling for the elimination of the country’s Climate Change Authority, Clean Energy Finance Corp and Australian Renewable Energy Agency. If the country heads down this path, the economics of renewable-energy projects will take a severe hit. For example, Australian state and federal governments contributed about half of the estimated AU$410 million needed to complete AGL Resources’ (ASX: AGK, OTC: AGLNY) Broken Hill and Nyngan solar-power projects. AGL Resources has already cashed these checks, so gutting renewable-energy subsidies won’t affect the economics or projects already under construction. However, the end of the carbon tax means that Australia’s leading developer of renewable energy will lose an estimated AU$180 million in cash flow for its fiscal year ended June 30, 2015. Fortunately, the rest of AGL Resources’ business should pick up the slack, especially its sizable fleet of coal-fired power plants that will benefit immensely from the carbon tax’s demise. Subscribers to Conrad’s Utility Investor can read more about AGL Resources’ prospects in next week’s Utility Roundup, my weekly commentary on earnings and other developments in the utility sector. This feature is only available for subscribers; sign up today to make sure that you don’t miss out. Instead of looking overseas to ascertain how renewable energy will affect US utilities, investors should survey the American energy landscape’s unique features when placing their bets. First off, investors should understand that rumors of the US utility sector’s impending demise at the hand of rooftop solar may attract eyeballs, but don’t make much sense. And those looking to jump on the green-energy bandwagon should remember that a dramatic change in US energy policy could be coming down the pike, depending on the next presidential election’s outcome. Even if Democrats retain the White House, the wind-power industry can forget about another tax credit and solar-power developers likely will kiss their federal subsidy goodbye in 2017. To prepare for a potentially unfavorable environment for renewable-energy development, investors should focus on large companies that operate a diversified mix of generation capacity under long-term contracts. ELECTION SPECIAL: Politics and Utilities Merger Madness Continues in Utility Sector Dishing the Dirt on the Utility Sector’s Spin Cycle TECO Energy Puts Itself Up for Sale: More Deals Coming?